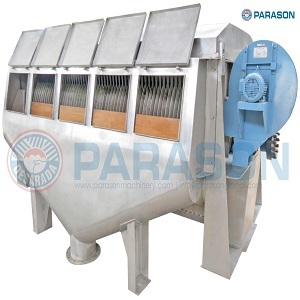 Parason Folded Thickner in compression to normal Thickeners provides a considerable larger filtration area. This can translate into smaller space requirement or higher capacity for specific floor space. The wire clothing is divided into sectors so that each section can be replaced without removing the drum/cylinder.